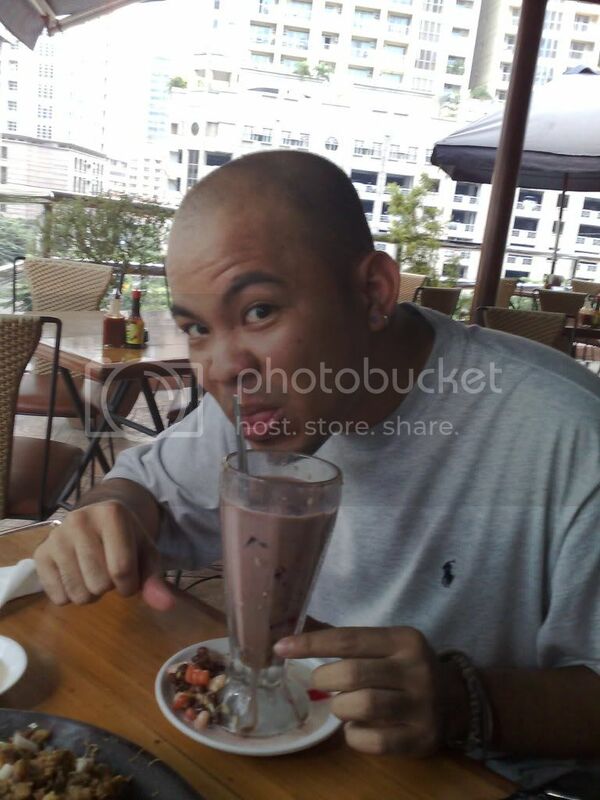 * last Saturday: downtime at da Fortress (Greenhills) and at da Shak (QC). hangover of JC's death still on the air. * last Sunday: Chloe's birthday in San Pedro, Laguna. bought her a doll the day before in Virramall. * last Monday: tangina. pahinga, at last. painted the whole night at home. * last Tuesday: met Mike for a hobby deal in McDo-Vallero. got a text from my college friends after that. met them at Blue Wave then we headed to my house. i just passed by to grabe some clothes (alam kong uumagahin kami sigurado) before "racing" (Jul's was at around 130-ish KMH at C5) to Pasig and later, Marikina. Golf session followed... "golf, golf, golf! burp!". slept at Pasig - 4:50am (may pasok pa kami ni Jon the next day... err, that day na pala yun). * last Wednesday: still not recovered from my hour and some minutes of sleep, i went with Jai and his friends to this bar in Pasong Tamo (too sleepy... brain not working) to celebrate his birthday. happy birdie, Jai! sana happy ang birdie mo. went home at 1am. 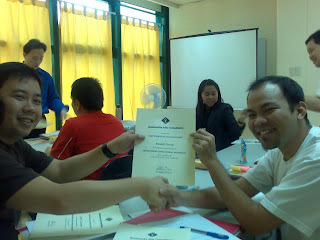 * kagahapon: end of our Management Development Workshop. pagdating sa bahay... tangina. pahinga, at last. had my blood pressure checked by my sis and scaled at 110/70 (low blood). worked on some of my miniatures, then slept early... sa wakas. partida, walang pang lovelife involved sa mga inatupag ko. ay ako din crammer to the max! hehe cramming for the win!